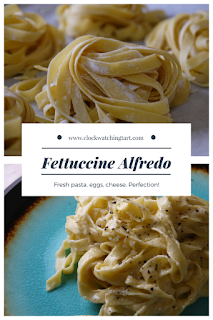 When I was a kid, Fettuccine Alfredo was one of my favourite dishes. Any time we went to an Italian restaurant, it was my go-to treat. Really, the restaurant or bottled version of Alfredo sauce over pasta can make a perfect meal for children picky children - soft, mild and creamy. But this version, made with fresh pasta and piles of freshly grated cheese, is a little more grown up. 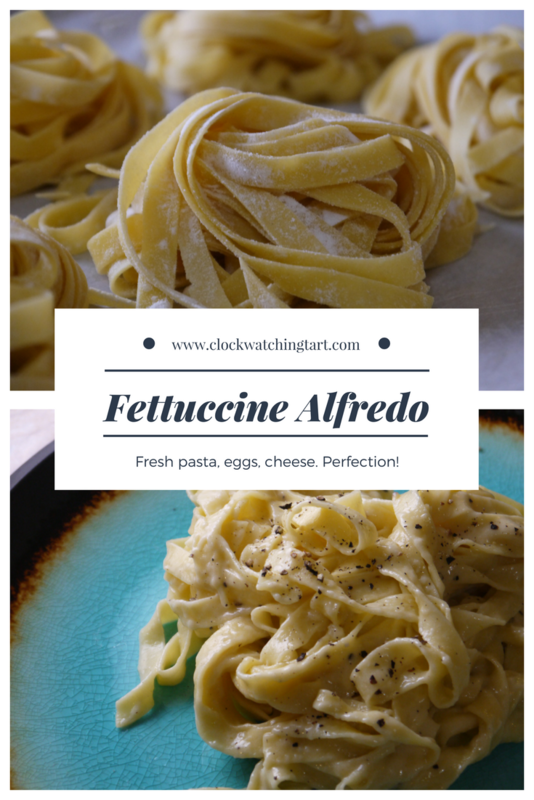 This Alfredo sauce recipe comes from the experts at Serious Eats and has a reasonable amount of butter and cheese, but lots of cream. I used my fresh pasta that I told you about last week for the fettuccine, and it was sublime. Whisk together the cheese, cream, egg, cornstarch and olive oil in a medium bowl. It will be thick, not liquid when mixed together. Cook the pasta in a pot of boiling, salted water. Since fresh pasta cooks in less than 2 minutes, you should use less water than you normally would to give the pasta water the chance to accumulate some starch. Reserve 2 cups of cooking water before draining the pasta. Toss the cooked pasta with the butter and minced garlic. Scrape the cheese mixture into the empty pasta pot and slowly whisk in 1 1/2 cups of the pasta water. Continue stirring over medium heat for about a minute until slightly thickened. Add more pasta water if it gets too thick. Toss the pasta with the sauce in the pot and serve it up! Sprinkle with freshly ground pepper. You can add some minced chives or parsley if you wish, but I didn't need it. The fresh pasta and creamy sauce are fantastic together. If you make this with store-bought pasta it comes together in a flash, but it's worth it to take the time to make fresh pasta. You deserve it!